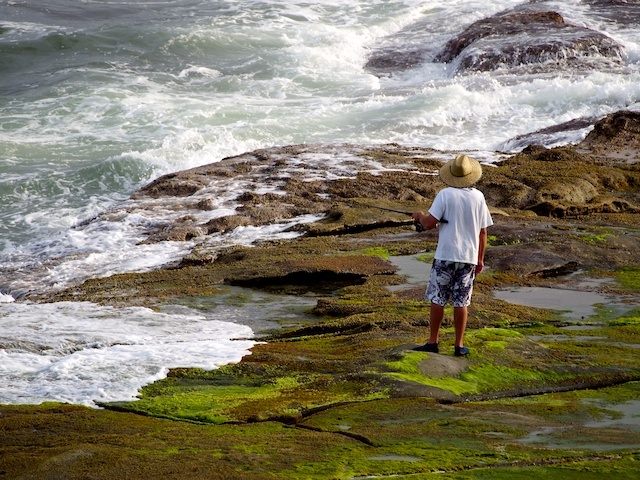 Rock fishing is one of the most dangerous pastimes in Australia. In an instant a rogue swell can arrive and wash unwary fishermen to their doom. This is a very benign location, but the fisherman is wearing soft rubber rock boots none the less. In the old days, we used to screw bottle caps to the underside of our boots for extra grip!